UB Data Migration Pro V3.0 – A Complete Overhaul! UB Data Migration Pro v3.1.7 here. Fully compatible with Magento 2.2.7 and Magento 2.3.0. UB Data Migration Pro version 3.1.5 has just been released -- here, with an absolutely refreshed Dashboard UI. Fully compatible with Magento 2.2.5. It supports Command-line Interface (CLI) which allows you to proceed migration steps using the command lines in CLI mode, after completing all pre-migration setting steps. After months of hard work, UB Data Migration Pro v3.0 (V3) is now a reality. I am excited to announce that the version 3 (V3) is a complete overhaul compared to its older sibling. Can I migrate Magento 1 data into an existing Magento 2 database? I have new customers, order and inventory changes during the development time, can I transfer such new data from Magento 1 site without re-migration from the scratch? Is it possible to migrate only specific data portions? The short answer: YES. Even better, the V3 makes life easier for large-scale data migration, with one of the most striking new features -- Delta migration. If you are new to our UB Data Migration Pro module, it’s good idea to make a test migration project to get a feel for how UB Data Migration tool (free version) works. This will help you with moving forward with our Pro version before you have to do the trickier parts. Please note that there are lots of aspects to migration — extensions, themes, custom development, and data. Our UB Data Migration Tool focuses on data only. The code of Magento 1 extensions, themes, or customizations will not work in Magento 2. So for your extensions and theme, you need to research if there is a Magento 2 version or alternative available. There might be cases that you need to port your Magento 1 data to a new Magento 2 site with existing data already (this is a common situation when you deal with a client project). Will such old data be overwritten? Or will you need a new fresh Magento 2 instance for data migration? Absolutely No, with the help of UB Data Migration Pro V3.0. V3 automatically maps and enables to migrate the data in Magento 1 site while keeping your existing Magento 2 data. Delta migration is a completely new feature in UB Data Migration Pro V3.0. It allows to migrate incremental changes since the last time you migrate data. You can append only new Magento 1 entries to Magento 2 where new update occur. In UB Data Migration Pro’s older versions, if you wanted to update the most recent data of customers, orders or other customer-related data, you had to reset and re-migrate from scratch that data portion. The Reset option still allows you to transfer the latest Magento 1 data to Magento 2, however it takes extra time due to said re-migration processes. While less important for small database, this is critical for large databases. Simply put, for V3, you simply continue where it stopped last time. 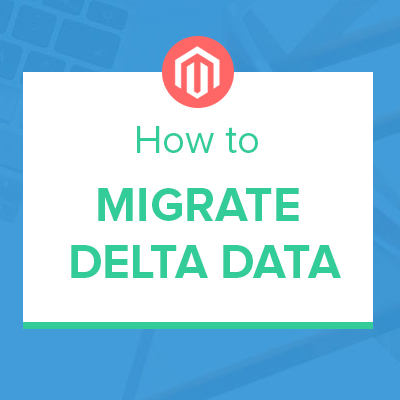 Migrating data to Magento 2 is not as simple as a quick “fix at all”, it’s always helpful to split your migration to different sections that allows for better tracking on what is going on. In UB Data Migration Pro v3.0, it’s possible for the migration process to be conducted in multiple stages. Besides, if you proceed the migration on a staging server, then chances are that you run across the server issues or at some point you need to pause the migration process. So the feature of stopping then continuing migration you left off at the last runtime is really crucial. While making it a top priority to give you confidence that your data will be migrated efficiently and reliably, we applied different workarounds in this new V3 version, to minimize the downtime and allow you to migrate almost everything as quickly as possible. In our local test environment with default Magento sample data, our tool migrates an average of 100 products per 1 minute. Your actual migration project can have varying times of migration depending on specific cases though, subject to various factors such as your server condition, database itself, and etc. In addition, the V3 natively supports the PHP Memcached (a high-performance object caching system). It’s highly recommended to have the PHP Memcached enabled (with some simple configuration steps) so that your migration will be much quicker. Upon migration, clearly it is desirable to proceed the migration on a strong VPS, for performance reasons. However, chances are that you likely proceed migration with an average server power. You might run the risk of PHP request timing out before the migration completes, if you used our older migration version under such circumstance. However, with revamped codebase, V3 allows you to run migration on various server performance levels. It’s no longer necessary to require the memory, hard drive, power, and processors at their full capacity. However, for large-scale databases, dedicated servers are still the fastest and most powerful choice. To assist you with your migration, UB Data Migration Pro V3.0 organizes all the setting steps into one group to simplify the pre-migration configuration. If you wish to modify the settings during the migration process for any reason, simply go back to update each setting individually. With this change, the data migration process now comprises 8 steps only, instead of 9 in the previous releases. Another notable small enhancement is a new Migration log and brief report available in your migration dashboard. This brief log and report captures the whole process with detailed information that allows you access to a better look at what is going on. Besides that, we apply ajax requests throughout all steps of the migration process. This helps avoid the need for clutter in the dashboard, while increasing the speed and usability of the V3 version admin interface. In the early days when we developed UB Data Migration tool, we made use of SQLite to take advantage of its support to data storage with simplicity. It helps minimize the setting from your side when using our tool. However in V3, we decided to switch back to the default Magento 2 database to store settings, this allows us to store additional data that’s needed for UB Migration to function. This new approach avoids the slow Read / Write drawback in the old SQLite, which in return gives the V3 version a big speed advantage. Frankly, data migration is a complex process, especially for a large scale Magento store with hundreds of thousands of records and millions of orders. There will be lots of aspects to big data migration — data integrity, delta migrations, multiple times migration possibility, performance and etc. Last month, we had chance to use our V3 version for a pretty large data migration project -- migrating 382,047 customer entities to Magento 2 for Winetasting.com. The tool worked smoothly and the client was really happy with our deliverables. You can check out this interview to learn more on this custom data migration project. For medium or large scale Magento store, V3 does all technical heavy lifting for you. Updated: The UB Data Migration Pro video is now available. It will walk you through the steps to use UB Data Migration Pro tool to move your e-Commerce store data from Magento 1.x to Magento 2. 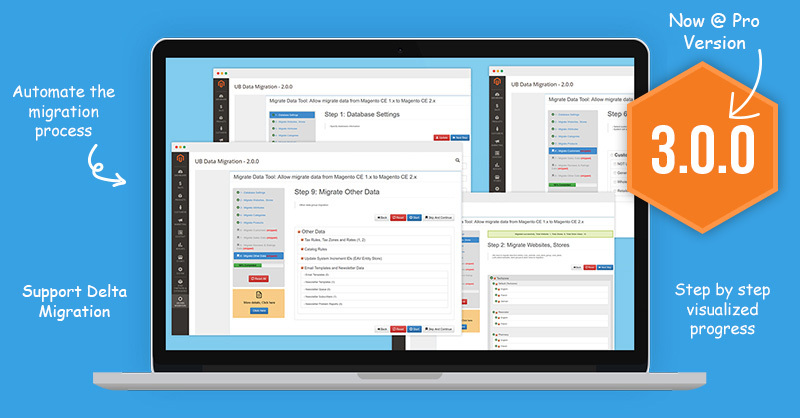 With 8 visualized steps, migration process is self-explanatory and easy to follow. 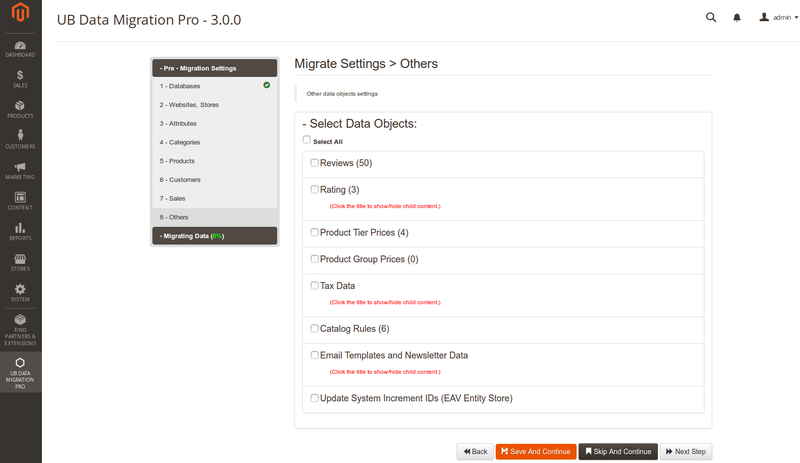 Hope you like the new UB Data Migration Pro V3.0. If you plan to migrate your data from the Magento 1 to the Magento 2, moving forward with our UB Data Migration Pro V3.0 will save you tons of time. As we’re building this for you, if you have any ideas or features that you’d like to see then we’d be more than happy to hear about them. Please leave your feedback and share experience in the comments. Does the tool allow you to convert M1 EE -> M2 CE? 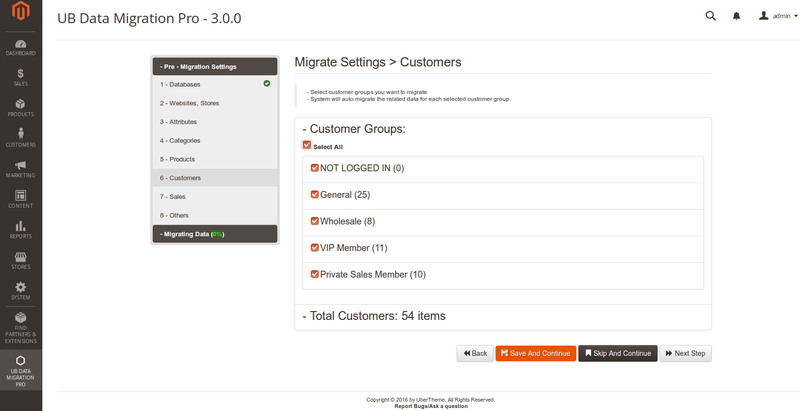 Our migration tool is available for Magento CE only at the moment. Hi, is extension compatible with 1.3.2.4 ver? It seems you also sent us an email asking about the data migration from Magento 1.3.2.4. We have just replied to you via email, kindly check. 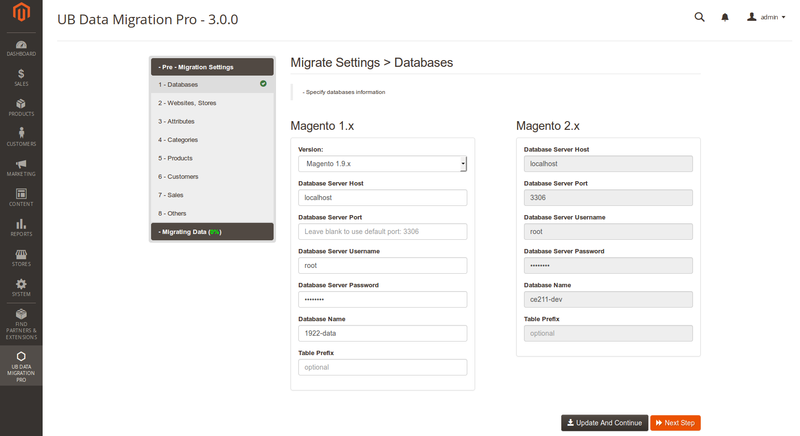 Actually, our UB Data Migration Pro supports Magento 1.6.0.2 and later only. You can consider the option to upgrade to Magento 1.6.0.2 or later, from which you will proceed data migration. Is it possible to migrate to a splitted M2 database? I know the Migration Tool does not support it, so I was wondering if the UB Data Migration tool is supporting it. Please explain in more details about your splitted M2 database. Any screenshot to illustrate would be helpful. To understand better our requirements, kindly send us a reply via info (at) ubertheme.com, we will check and get back to you. As far as i can see, the webdesign is an issue the tool does not handle? It’s true that our tool handles the core database migration only. The code of Magento 1 extensions, themes, or customizations will not work in Magento 2. So for the extensions and theme, it would be best to research if there is a Magento 2 version or alternative available. we are on magento 1.6.x with a specific situation, we only have about 400 products, no clients and no orders. we want to migrate to magento 2.1.6 and have an test magento ready. can we just use the free version as we only have the products (and cats/attrs)? or will that not work? – The Lite version is available for Magento 2.0.7 only; and Magento 1.6.0.2 and later. – And it uses the old codebase and comes with limited feature sets, compared to our Pro version. Anyway, it will save you pretty much time to move forward with our Pro version, as this version is completely overhauled, with various bug fixes and performance optimisation. For your reference, our tool helped Freelaunch.nl migrate 230,000 products to Magento 2 (view the case study here: https://www.ubertheme.com/magento2/data-migration-230000-products/). Does this also work in Magento 2 Enterprise Edition? 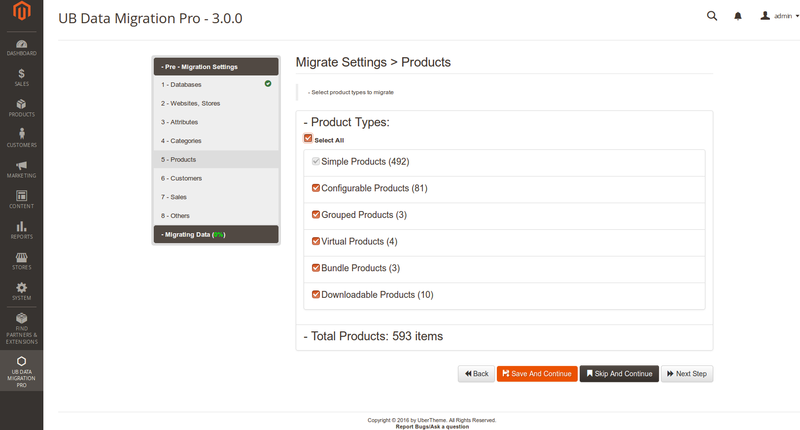 The UB Data Migration Pro V3 is available for Magento CE only at present. There will be a separated version for Magento EE soon. If you wish to be in the loop about this new release, please leave us a message via our email info (at) ubertheme.com, we will keep you informed once available. – Migration from a separate store to a multistore. – Migrate Only the customers and order history without products. – Setup a delta migration from one 1.9 store to another 1.9 store to migrate just the customers. Can you let me know if it is possible? It’s pity that our current Pro version does not support specific scenarios you mentioned. – If you want to migrate only Customers, you need to proceed all three steps: #1 (Database setting), #2 (Website, Store setting) and #6 (Customer setting). – If you want to migrate customer, sales/invoice data, you need to complete all steps from #1 – 7 (You can see the full 8 steps mentioned in our post above). does the tool allow you to import content? I mean Pages, Static Block, etc? 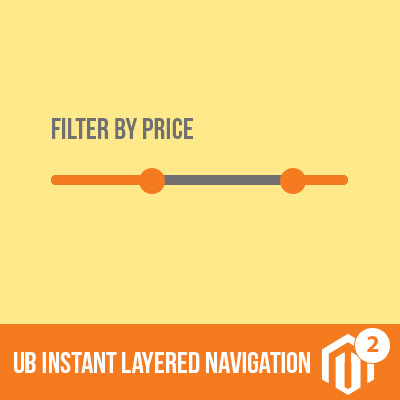 At present, our UB Data Migration Pro tool helps you port core Magento data as noted here – https://www.ubertheme.com/magento-extensions-2-x/magento-2-data-migration-pro. Pages, static blocks etc., are not covered by out tool yet. Can I migrate related products with this tool? Our UB Data Migration Pro ports all core Magento data to Magento 2, including all product types of Magento (Simple Products, Configurable Products, Grouped Products, Virtual Products, Bundle Products and Downloadable Products). Yes, our migration tool fully ports all related products, up-sells and cross-sells to Magento CE 2.x. I think the price is too exaggerated for this module. We see your concern about the price. Actually, it took us huge resources to build and update the UB Data Migration Pro to this stage. And the current price is a discounted rate already. Currently installed the pro v3 version in my Magento 2.2.0 shop, module enabled cleared al the cache. When I press the button to go to the module (in my backend) I can see the title UB Data Migration Pro (CE) – 3.1.3, only the rest of the page is just a white page? Please submit a ticket on our helpdesk – https://www.ubertheme.com/ask-question, we will work closely with you.